GANG PARADE began in 2014 as the duo pla2me with Mizuta Mari and ex-BiS member Kamiya Saki. The group was renamed POP in 2015 and GANG PARADE in 2016. GANG PARADE is a member the WACK family of idols. 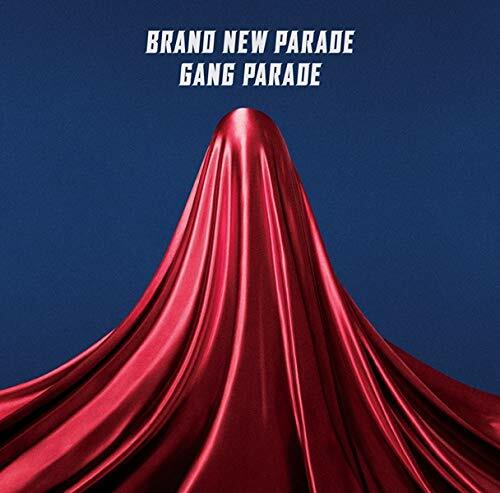 GANG PARADE made their major debut on April 17, 2019 with the single “Brand New Parade”. The group includes members Kamiya Saki (カミヤサキ), Yamamachi Miki (ヤママチミキ), Yumeno Yua (ユメノユア), Can GP Maika (キャン・GP・マイカ), Yui Ga Dockson (ユイガドクソン), Coco Partin Coco (ココパーテインココ), Terashima Yuuka (テラシマユウカ), Tsukino Usagi (月ノウサギ), and Haruna Ba Chiin (ハルナ・バッ・チーン).